A first London show by Artist-curator Jane Boyer. Sadness wells up through a title that makes redundant the physical work, ‘On that day, two hairs fell from my head’. A hair is secured sperm-tail-like to each of two postage-stamp heads, on either half of a paper divided vertically, black one half and paper white the other, a woman on one stamp (a reproduced Seurat drawing) a jug on the second. Such quietly insignificant happenings as the falling of hair belie the power of their meanings; become little deaths in a cacophony of simultaneity. But the title folds and refolds back into the work too, with its divided composition, black/white contrasts, and sense that the possibilities of consummation are suspended. That ‘I’ become at all is a chancy business. By contrast, the infinitely reproducible ‘Bias’ series of dye sublimation prints intimates a virtual future for hairs that fall. 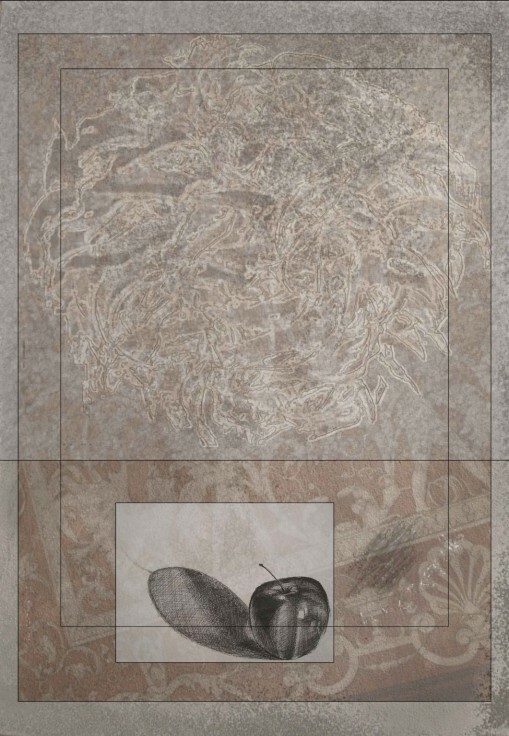 In ‘Remember Me’, another in the ‘Bias’ series, an original pen and ink drawing of an apple and its shadow has become a digitally rendered memory of former physicality, a simulacrum in a kind of privatisation and commodification of image and experience; ontological shift replaces possibilities of physical intimacy with the lure of ownership. ‘Remember Me’ attempts to reach back to the hand that made its drawing, its transparency a wistfulness betrayed by modern materials. There is a longing to return, an ‘I’ in the process of remembering itself, speaking from an imprisoned image; a seeming conflation of real and virtual points to a contemporary condition of uncertainty. ‘Am I this? or Am I this?’. ‘Fade’, a found photograph mounted in a frame deteriorates slowly as a consequence of that same light that caused it. In it the figure of a woman has been partially outlined in pen, a knowingly vain effort to stem the loss. The work tells of desperation. Elements from other pieces of Boyer’s work are placed on it, like stones might be to hold a picnic cloth on a windy day. Whilst we might empathise with a kind of comfort in decay, an adjacent piece, ’Graphite’ is lovely. It has a beautiful surface. 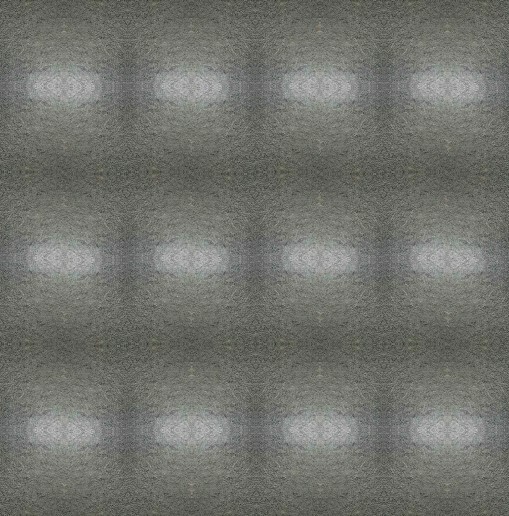 Formed from a digital photograph of a road surface and developed into a symmetrical pattern, perhaps it is simply a beautiful surface. A warning? Pleasure in the experience of lovely things might be a dangerous corruption of the intellect by real flesh. And there is more pleasure. In paint. Juicy thick paint in ‘Flag’ from 2008, in ‘Ebb’ where paint finds paths over which Boyer suggests she had no control. (both a telling and debatable insight in the context of the exhibition.) In ‘Framed Debate’ pleasure is questioned. 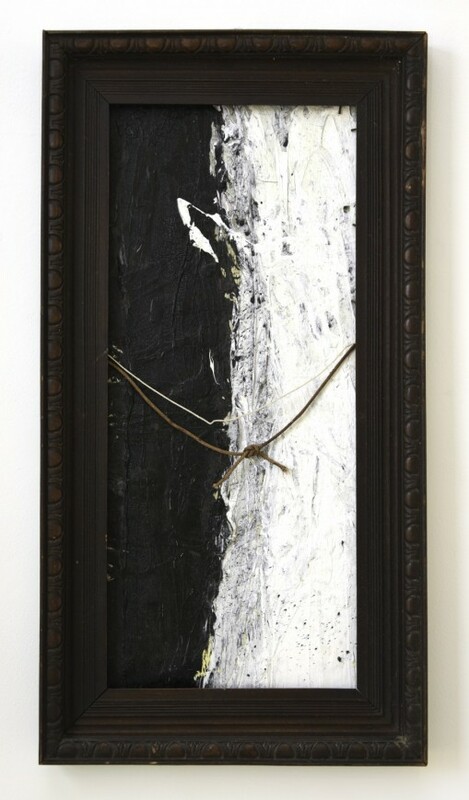 A black and white painting is placed in an old brown frame. The strings by which it should hang cross its front. Nevertheless, it hangs, an ironic compromise on the gallery wall. ‘We’re no longer seeing, but reading.’ of 2011, is ‘curated’ into an installation which has a foot in modernism and a title that taps at its own ankles. 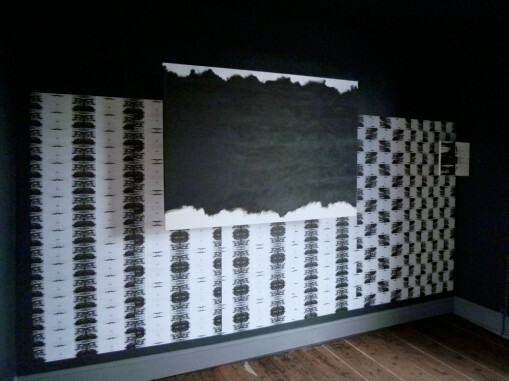 It hangs in front of and partially obscures, Boyer’s ‘Enigma Wall’ wallpaper, a notion perhaps of digital ubiquity based upon repeated printing and change, the space between them a kind of intuitive leap, whilst ‘Flag’ the painted subject of the printed paper looks on from aside. The past is everywhere ‘here’. The past of works and the past of self – the past of form and of its (dis)contents. At the heart of the notion of collage is that of material recollection, of found objects, serendipitous coincidences, evocative tints, shades and colours. 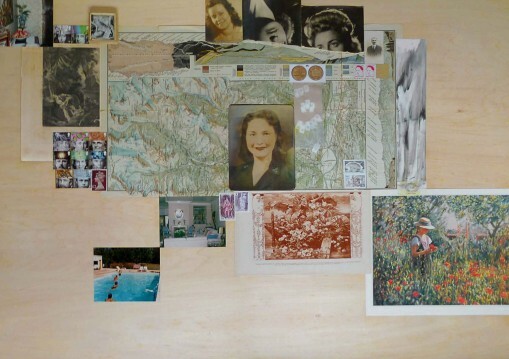 At one extreme a hand-tinted photograph glued to a surface (in Topographically Collage’) opens space for imagination and family connection and at another the dye sublimation prints of the ‘Bias’ series encapsulates nostalgic content in contemporary material. In a biographical sense, the materials that we know are a measure of experiences inextricably bound up with time and place. The objectivity of the autobiographical business of looking back, of ‘remembering’ is tinted with the wish that some things could have been different, and perhaps too an alchemical hope that things will turn out not as they seemed. A short black and white video, ‘ 2 Minutes’, flickers, back projected onto a glass screen in a door in the entrance to Arthouse, which upon entry introduces dualities tensions and strains of the show, and upon exit is reconstituted as summary in an echo of the artist – curator. Consisting of two videos combined one above the other, in the lower, we are inside looking out. We look through a basement window reminiscent of a grand Georgian Townhouse past cast-iron railings, as shadows of passers-by flit across. In the upper image we are outside looking in. It shows us a softened, out of focus video taken from outside the Cafe at Tate Modern. A person inside sits tapping at a computer, maybe drinking. There is some movement around.